Dubai: In a humanitarian gesture, His Highness Shaikh Mohammad Bin Rashid Al Maktoum, Vice President and Prime Minister of the UAE and Ruler of Dubai, has extended financial help to a Russian woman who lost her mother due to a sudden cardiac arrest in Dubai during a family trip to the city. Shaikh Mohammad announced that all expenses incurred by the Russian woman for the treatment of her deceased mother in a private hospital in Dubai as well as the cost of transporting her body to her homeland and the flight tickets for the family’s travel back to Russia will be taken care of by him. Russian tourist Anastasia Popova incurred $228,700 (around Dh840,000) for the treatment for her deceased mother in a private hospital after she collapsed during her family’s vacation in Dubai due to a rupture in her heart. Despite surgical treatment, the elderly woman passed away, leaving the Russian tourist with a large hospital bill. The tragic incident happened when the Russian tourist was on a vacation to Dubai with her mother and two daughters. Popova’s mother Natalia was 57 years old. Reflecting about her situation last week, Popova said: “The hospital bill was very big, which was a problem for me. We love Dubai and I didn’t want to have an problems in the UAE. My mother loved Dubai and my children love Dubai." 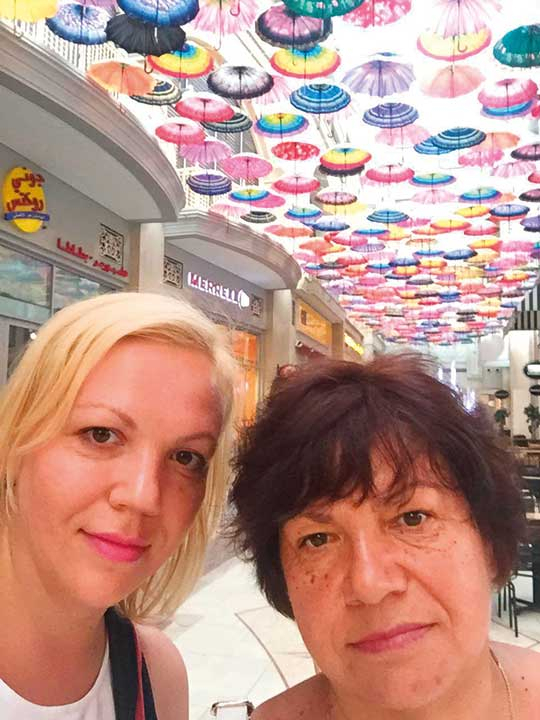 Popova and her mother have previously visited Dubai. The family is from Tambov, a city around 480km southeast of the Russian capital Moscow. Fomin Oleg, consul general of Russia in Dubai, told Gulf News on Saturday that on behalf of the consulate general of Russia in Dubai, the Russian government and the people of Russia, he thanked Shaikh Mohammad for his humanitarian gesture.